The Reedy Creek Improvement District approved a $1.8 million budget for “electrical upgrades” to the World Showcase Lagoon at Epcot. The upgrades come at a time where chatter about a new nighttime show is picking up steam. Illuminations: Reflections of Earth is the current nighttime show at Epcot and long overdue for an upgrade by Disney standards. Illuminations debuted back in 1999. As of right now, Disney isn’t saying whether this work is for a new nighttime show or just general work for the current one. A deeper dive into the budget reveals that in addition to the electrical work, Disney plans on running new tubing from near The American Adventure out to an island in the lagoon. So not only are existing upgrades taking place, but also new construction. Of course, a new show isn’t exactly unexpected. As part of their 2017 D23 Expo panel, Disney revealed some blue sky art that partially showed a reimagined entrance to World Showcase. 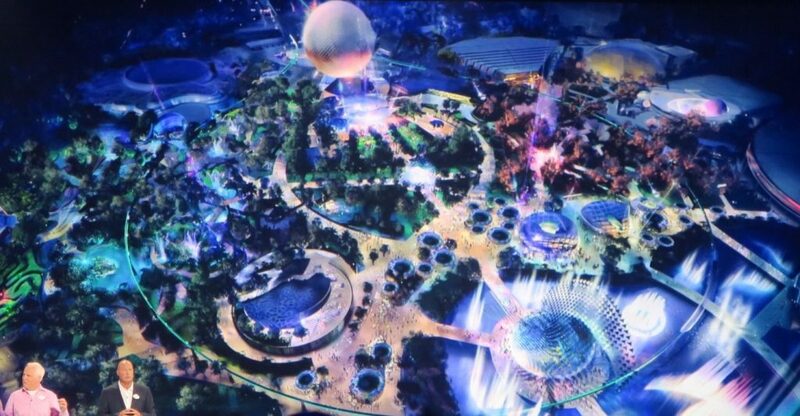 That, combined with rumors of a new show since then, suggest that this work could be for a new nighttime show that could arrive as early as later this year.